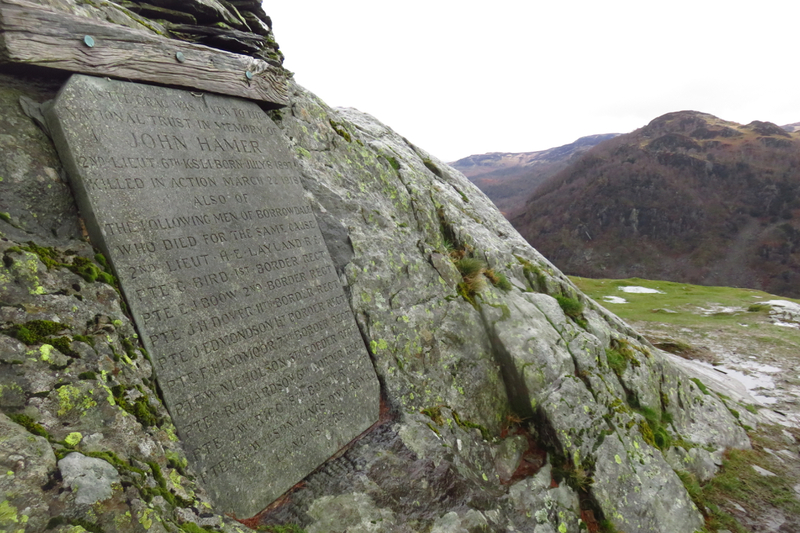 Height: In the first edition Wainwright noted that an official height had not been determined; his guess was 985 feet above sea level. The OS have been on the case since then and the second edition confirms it as 951 feet above sea level. This makes it the lowest of the main 214 Wainwrights, and the only one under 1000 feet, although many of the Outlying Fells are lower. Date climbed: First visit: 24th July 2009 (walk 4). Second visit: 18th March 2017 (walk 125). Route of ascent and descent: First visit: Ascended from Grange. 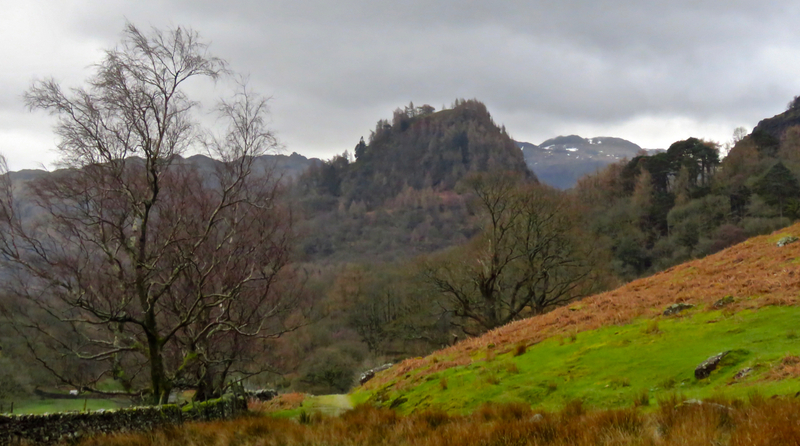 Intended to return to Rosthwaite, though ended up finishing the walk at Longthwaite further up the dale. 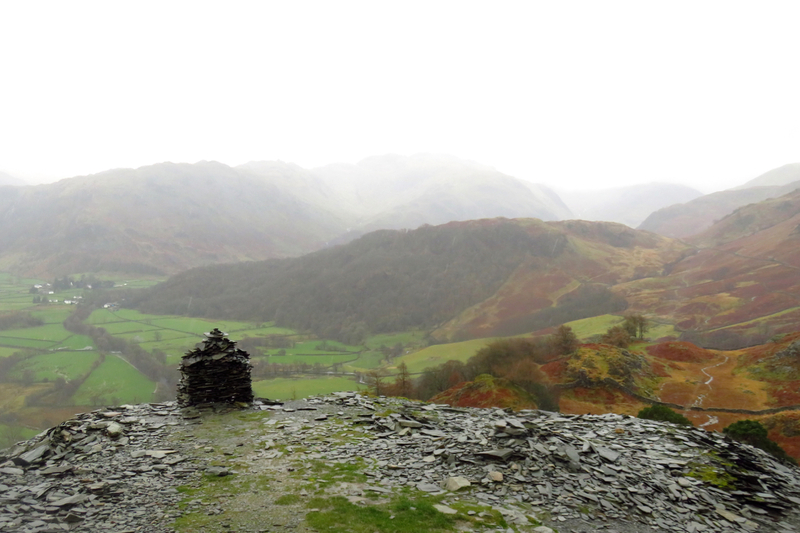 Second visit: Did the same, only this time, walked to Grange from Keswick, and made a better job of the descent so did, indeed, end in Rosthwaite. 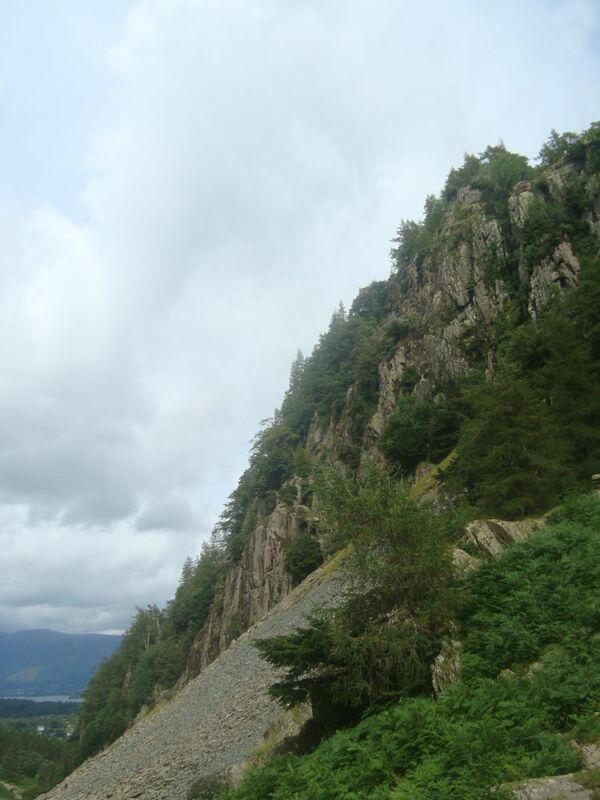 What Mr Wainwright says (from page 2 of his chapter): “…Castle Crag is so magnificently independent, so ruggedly individual, so aggressively unashamed of his lack of inches, that less than justice would be done by relegating it to a paragraph in the High Spy chapter… it is the only fell below 1000 feet in this series of books that is awarded the ‘full treatment’, a distinction well earned. What I say: I’ll have to check with my parents to be sure, but I am fairly certain this was my first Wainwright of all, aged around 8 or 9 years old. But despite its low altitude there are easier fells to get a small child up and down, particularly one still not completely certain of his footing on rocks and slate. All the same, it’s really worth the climb: this has an excellent summit, a fantastic little maze of trees and rocks, given added interest (and some risk) by the quarry, the waste products of which have made the ascent and descent such fun. The view is very good. Smallest of the 214 it may be but it is rough and steep, and not at all a waste of effort: worth climbing any day.